Yes, there are fundraising minimum commitments for all participants (except those under 18 years old) of the Katie Ride, Walk and Fun Run. Those fundraising minimums are easy to achieve. Look at it this way...a $100 commitment is a snap when you ask 10 friends for a $10 donation. Plus our registration platform will send automatic emails for you that will help in your fundrasing efforts. Just go to your fundraising page, upload your email list (it stays private we promise) and hit the "send" button. Just like that you'll be able to tell all your friends and family about the Katie Ride and the amazing work the Katie Caples Foundation is doing to end the wait for the nearly 122,000 adults and children in need of an organ transplant. For a downloadable PDF full of fundraising tips click here! And stay tuned for emails from us with tips and ideas on how to meet (and EXCEED) those fundraising minimums. In the meantime, if you have any questions or need help navigating your fundraising please contact us at: info(at)katiecaples.org. CYCLISTS (63, 34, 18, Off-Road) & TRIATHLETES MUST RAISE A MINIMUM OF $125 (IN ADDITION TO THE REGISTRATION FEE) BEFORE CHECK-IN TO PARTICIPATE. WALKERS FUN RUNNERS MUST RAISE A MINIMUM OF $50 (IN ADDITION TO THE REGISTRATION FEE) BEFORE CHECK-IN TO PARTICIPATE. UNDER 18 Participants DO NOT have to fundraise, however, they are encouraged to complete a participant profile, recruit, promote through social media and fundraise to support the Foundation. If you are donating to a participant's fundrasing, please be sure to include the participant's name along with your donation. Thank you! and outreach tools, check out some of our online videos! 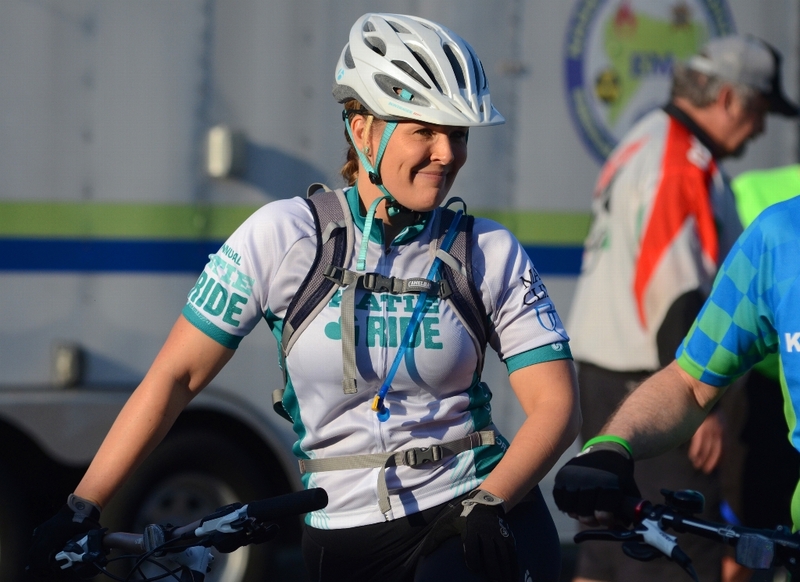 Proceeds from the Katie Ride benefit the Katie Caples Foundation's nationally recognized organ donor education program. The Katie Caples Foundation is a 501 (c) (3) registered in the state of Florida. To review details as outlined in the Terms & Conditions associated with registration and fundraising commitments please visit here.